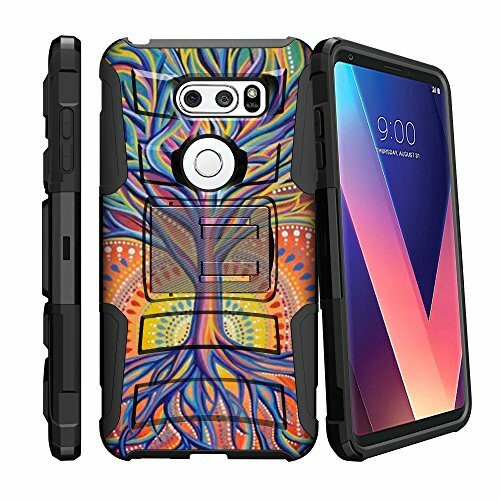 BUILT TOUGH - Shock Resistant LG V30 Case. Impact Absorbing Silicone and Tough Plastic Layer. Rugged Protection for LG V30. RAISED EDGES - Lifted Edge Design. Lifted Silicone Edge Offers LG V30 Screen Protection From Scratches or Smudges. ROTATABLE BELT CLIP - 180° Rotating Removable Holster for LG V30. LOCKING KICKSTAND - Hands-Free Locking Kickstand Case for LG V30. DUAL-LAYER PROTECTION - combination of soft silicone skin and hard polycarbonate PC plastic Case for LG V30. If you have any questions about this product by MINITURTLE, contact us by completing and submitting the form below. If you are looking for a specif part number, please include it with your message.